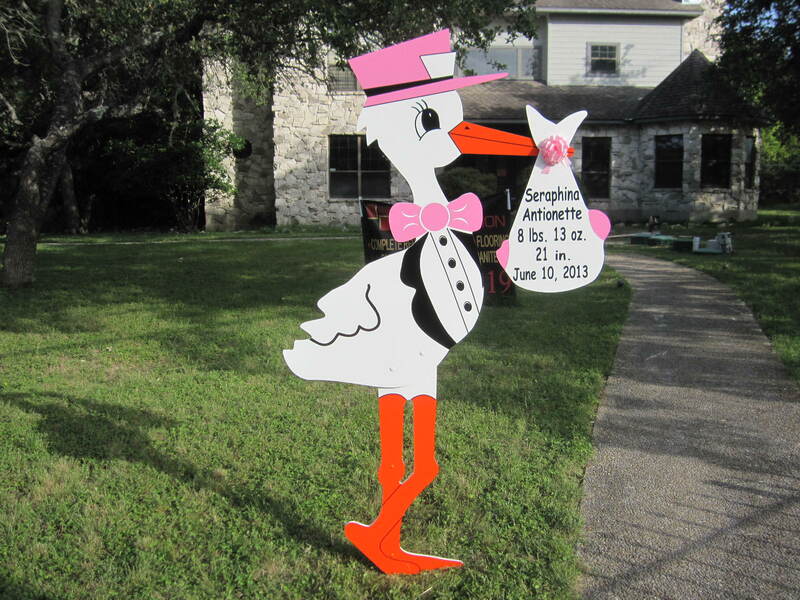 Matthew & Lisette are proud to announce the birth of their 6th child and 4th daughter, Seraphina Antoinette, on June 10, 2013. Seraphina weighed 8 lbs. 13 oz. and is 21 inches long. Our best wishes to the entire family. 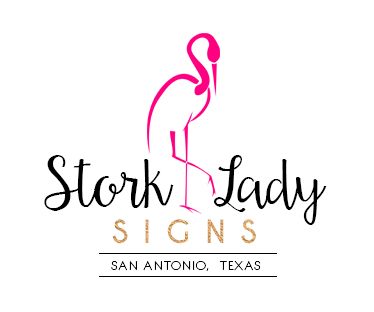 Please contact us at 210-601-7351 to rent a stork sign for your new baby or grandchild or a birthday cupcake or flamingo lawn sign to celebrate a birthday, graduation, mother’s day, father’s day, newlyweds, pool party, barbecue or any fun occasion or event! Please visit us on FACEBOOK and PINTEREST.